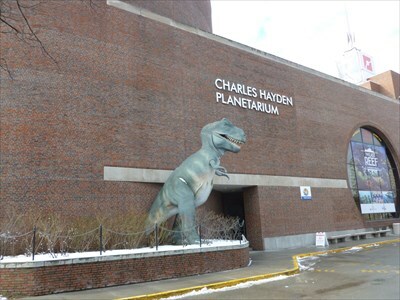 Like many Bostonians a great deal of my time in that fair city was spent in the Museum of Science. It is a fine museum, well suited to children. They have some incredible lightening making machines, a bed of nails that you can try out yourself, and lots of dinosaurs. And outside the front door they have a model of a T Rex, you can see it in the photo. This model T Rex was built and placed in 1972, and here lies a story. We might feel that this great beast has been part of our culture for many years, it was first described in 1905, but the first almost full skeleton was only found in 1990 in South Dakota. Now if you look at the model you see an upstanding T Rex, but the model is not a good replica. These dinosaurs did not stand erect like that, they were much more laid back in their posture due to their size and a considerable tail. 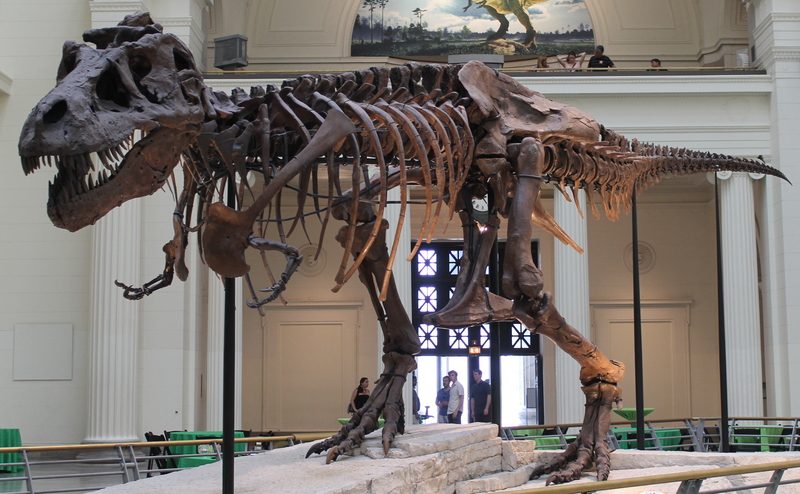 Here below we see the reconstruction of Sue, the first almost complete skeleton brought to life in 1990 and mentioned above. Now Sue is well balanced, looks even more ferocious, and somewhat resembles a flightless bird. Just think how quickly science is developing! So here I get to the meat on the bones. Birds seem to have evolved from dinosaurs, some dinosaurs even had feathers, and recently scientists have managed to create a chicken embryo with a dinosaur-like snout and palate, similar to that of small feathered dinosaurs like Velociraptor. The results are published in the journal Evolution. You can read the abstract here. 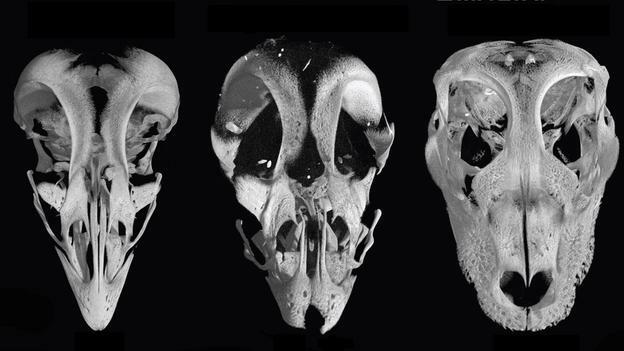 They did not hatch the embryo, but manipulated genes that deal with facial development in birds, until the beak started to look more like a dinosour or aligator mouth. See the photo below taken from the BBC article on this story. This is an interesting line of research. I am not worried about a Jurassic Park scenario, but it does seem to open a world of opportunities , and I am not sure that all of them have been explored. I wonder how far it could go? It’s crazy to think that we are still in quite early stages of discovering the dinosaurs. I remember a while back news of a project trying to use elephants to grow a mammoth – and now this – growing a dinosaur! Well, a dinosaur chicken! The bone discoveries also make you think about the art of reconstruction. How would you go about putting all those bones together? No wonder their have been competing shapes over the years. in the early days they put them all together with legs sticking out of the sides like crocodiles. Ha ha! I suppose if you’ve got no tendons and tissue to help and the bones have been worn down, it must be hard to tell what goes where. We really need to find each type of dinosaur frozen in its historic state – like that frozen mammoth they found in Siberia. It’s really great information about this Dinosaur Developments. Thanks for sharing. God Bless.